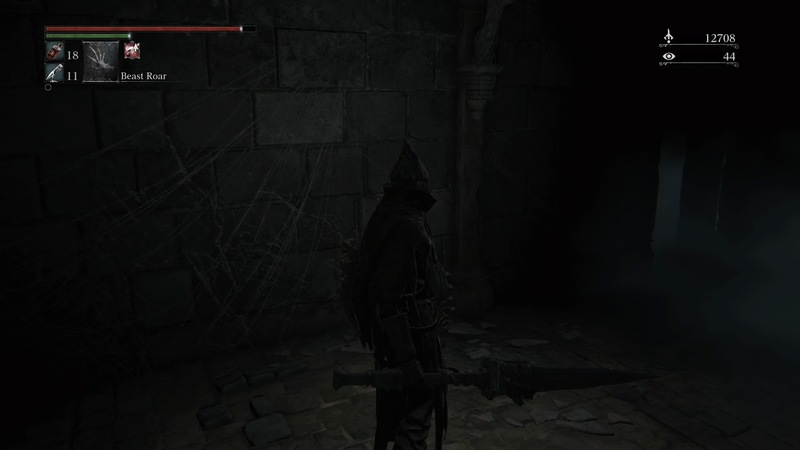 Church Pick is a trick weapon in Bloodborne. It was added with The Old Hunters DLC. There are 3 versions of this weapon: Normal, Uncanny and Lost. The only known differences being the Gem Imprints and the locations in which they are found.
" One of the old trick weapons of the Healing Church, a hunting weapon formed from one of the giant picks that appear in old beast tales. 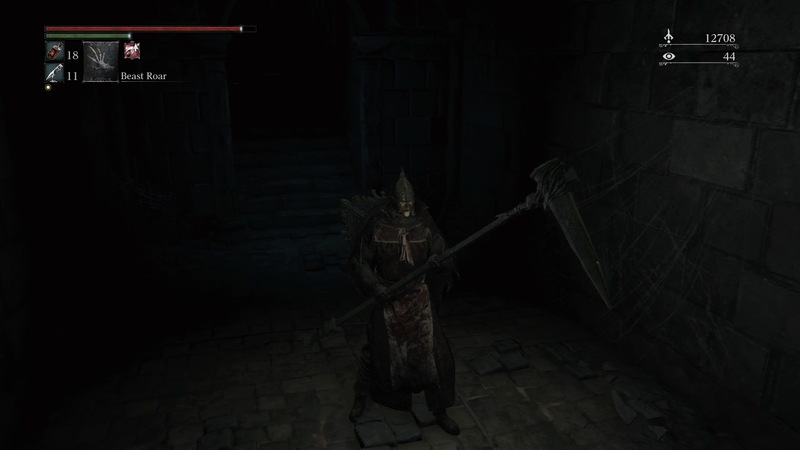 The Church Pick initially serves as a large sword, but when transformed functions as an extended war pick. In spite of its origins, it is a highly practical weapon." Transforms from a short spear to a war pick. The Hunter's Nightmare: Dropped by a hunter wearing Yahar'Gul set (presumably, this is the summonable Old Hunter Defector Antal) in one of the cells that you open with the Underground Cell Key from the Research Hall. To make this battle simple, attack him through the door with a strong R2 attack, then leave the room. He will lose sight of you and his AI will return to a standstill behind the door. Rinse and repeat until dead. If you have the normal version: Create Glyph 8i29rqz3 (Pthumeru Labyrinth) and buy from Bath Messengers up a ladder from the main room for 16,000 Blood Echoes. This weapon counts as Righteous & Serrated. When transformed, all attacks deal Thrusting dmg. 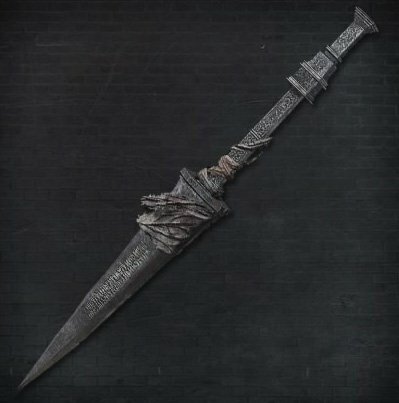 This makes it very effective against enemies weak to thrusts (brain sucker, celestial mob) and allows the setting of powerful "adept" blood gems. The transformed R2 attack (uncharged) has very good range. Thrust, followed by a horizontal sweep from right to left, followed by a downwards diagonal backhand slash from left to right, then a slight uppercut finish starting from the right foot. Performs a horizontal sweep from right to left. After the roll, performs a thrust. Performs a backhand sweeping horizontal arc, from left to right. An arching and wide ranging uppercut which begins behind the player over the right foot and ends above the left shoulder. Performs an overhead ground slam. Performs an overhead diagonal slash starting over the right shoulder and ending at the left foot. Performs a leaping overhead slam. Backhand overhand downward slam, followed by a horizontal sweep from right to left, then a horizontal sweep from left to right, followed by an overhead slam, horizontal sweep from right to left and then a horizontal sweep from left to right. Performs a downward diagonal slash ending at the left foot. Performs a diagonal uppercut starting at the right foot and ending above the left shoulder. Performs a backhand sweep slash from left to right. Horizontal sweep from right to left with a slight uppercut and a momentary windup pause. An overhead slam that begins with the appearance of an imminent sweep, then reorients to the overhead slam. Performs a wide backhanded slightly diagonal sweep from left to right. The Church Pick And The Hunter's Axe both have similar appearance. When transformed, both are wielded as a polearm and have the same de-transformation attack. The only difference apart from the Church Pick having a slightly more complicated mechanism is that the Hunter's Axe is a strength-based weapon. A few of its attacks in the transformed mode are very similar to that of the Burial Blade.